The Jamaican pineapple is indigenous to South America mainly Brazil and Paraguay. The Tainos Indians who were originally from South America brought the pineapple to Jamaica and the rest of the Caribbean. They were the first foreigners to arrive in Jamaica which happened before long before Christopher Columbus was born. The Tainos gave the pineapple to Christopher Columbus as a welcoming gift when he first arrived in Jamaica in 1494. The Jamaican pineapple is rich in vitamin C, it is a cure for scurvy which European sailors constantly suffered during the early days. This means that it would be in their interest to have the pineapple around in as many countries as possible. The natural (or most common) pollinator of the pineapple is the hummingbird. Pollination is required for seed formation; the presence of seeds negatively affects the quality of the fruit. In Hawaii, where pineapple is cultivated on an agricultural scale, importation of hummingbirds is prohibited for this reason. Early settlements in America, a pineapple was traditionally given as a gift of friendship. 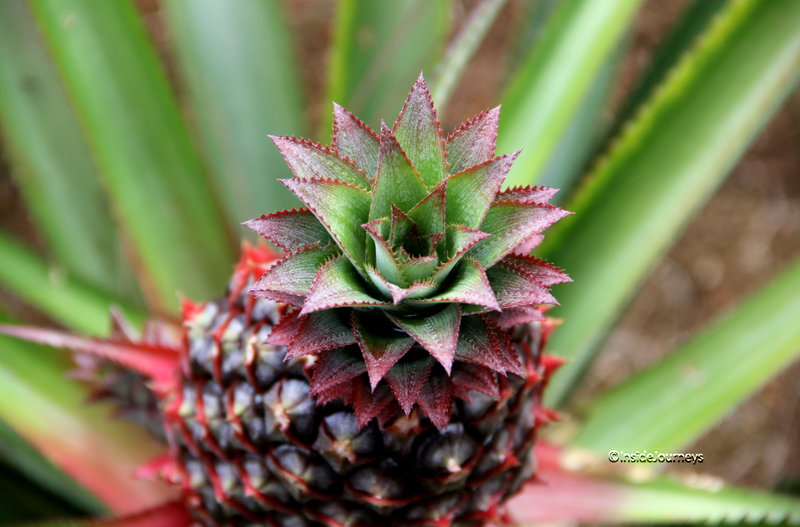 It takes a long time for a pineapple plant to produce fruit, normally two years. You can grow your own pineapple by planting the top of the pineapple in the soil. Pulling leaves from pineapple is not an indication of ripeness as many people think. Every pineapple plant produces one pineapple each year. Pineapple is considered to be a cluster of 100-300 little fruitlets. You can’t use pineapple in jello because its bromelain content stops it from jelling. Pineapple cannot ripen more after it is picked. An unripe pineapple not only tastes awful, but it can also be poisonous. One of the ways you tell if a pineapple is ripe is by smelling it. After Columbus was first gifted pineapples in Jamaica, they started to be used on ships to prevent scurvy. The bromelain in pineapple is used as a meat tenderizer. The fruit, peel, and juice of pineapples are said to remove warts. The core of the pineapple is edible. It was a rite of passage in the Caribbean for young men to run through the pineapple plantings, and bear the pain from the prickly leaves without revealing it. A pineapple can be ripe even if the outside is green. Eating pineapple is believed to induce uterine contractions during pregnancy. The pineapple pulp left after juicing is used in livestock feed. It is very high in vitamin A. The Jamaican pineapple is easily grown in tropical climates but it can resist moderate cold temperature. However, it is best suited for warmer climates with good soil drainage. When the Jamaican pineapple is grown in suited conditions it can be very sweet and less acidic. The Jamaican Pineapple is a good source of manganese, vitamin C, vitamin B1, copper and dietary fiber, vitamin B6, also very good in helping the stomach to digest. This is a fruit that is ubiquitous throughout the world that shows up on many dishes. Do not mix dairy products with pineapple until right before serving. Original article posted on The Jamaican Pineapple | Jamaica – Excursions, Tours, Adventures and More!